Provides a dedicated ministry for building men spiritually and involving men in the total ministry of the Church. United Methodist Men shall be a creative supportive fellowship of men who seek to know Jesus Christ, to grow spiritually and to seek daily His will. Our primary purpose is to declare the centrality of Christ in the lives of men and in all their relationships. 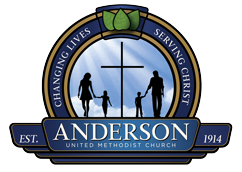 To encourage knowledge of and support for the total mission of the United Methodist. To seek commitment of discipleship. To study and become familiar with The United Methodist Church, its organization, doctrines, and beliefs. The ministry of men in the local church is defined as a core group of men, partnering with their pastor, to invite and initiate spiritual growth opportunities for all men of the church. Everyone has different gifts, graces and areas of interests. Therefore, opportunities for participation would include diverse ministries of the church, such as prayer groups, missions, Bible studies, retreats, workshops/seminars, small groups in the Wesleyan tradition, leading and participating on committees, teaching Sunday school classes, youth ministries, scouting, mentoring and assisting in leading worship service. The focus is not inward, concentrating only on those who attend a set meeting, but outward to all men, assisting them to engage the process of spiritual growth. UMM provides a dedicated ministry for building men spiritually and involving men in the total ministry of the Church. The United Methodist Men (UMM) strive to support men in their effort to know Jesus Christ and carry out His will in their lives. We seek to promote spiritual growth and nutrition throughout the entire church community through the faith/works of men.